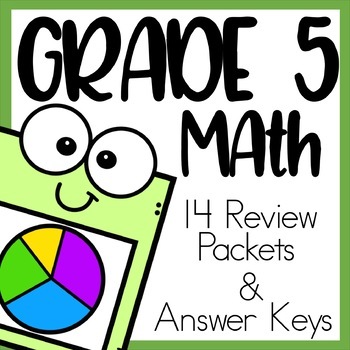 This Math review bundle includes 14 packets for review of Grade 5 math standards. These would be great for practice tests, tests, homework, or just plain review of concepts learned! If you have purchased any of my Grade 5 Reviews before please email me at kabbeducationalresources@gmail.com before purchasing. Feedback on your purchases can earn you credits towards future purchases and they are greatly appreciated!